Emprezz Camielle – Runnin Tings from Sydney to Jamaica! You know there is a presence in the room when she enters. Her striking beauty, stunning smile, Jamaican fire in her words and bountiful talent in comes to singing, acting, modelling and all-round fierce business woman! She’s given Australia lessons in sassiness, having called Sydney her home for many years before returning to her roots in Jamaica some seven years ago and finally finding her calling. Emprezz Camielle was never in hibernation, she was simply changing course in career and life direction with her decision to re-locate back to her island home and give back to her community’s youth as well as provide business opportunities for her community. We knew her as Camielle Mullings, artist and performer. 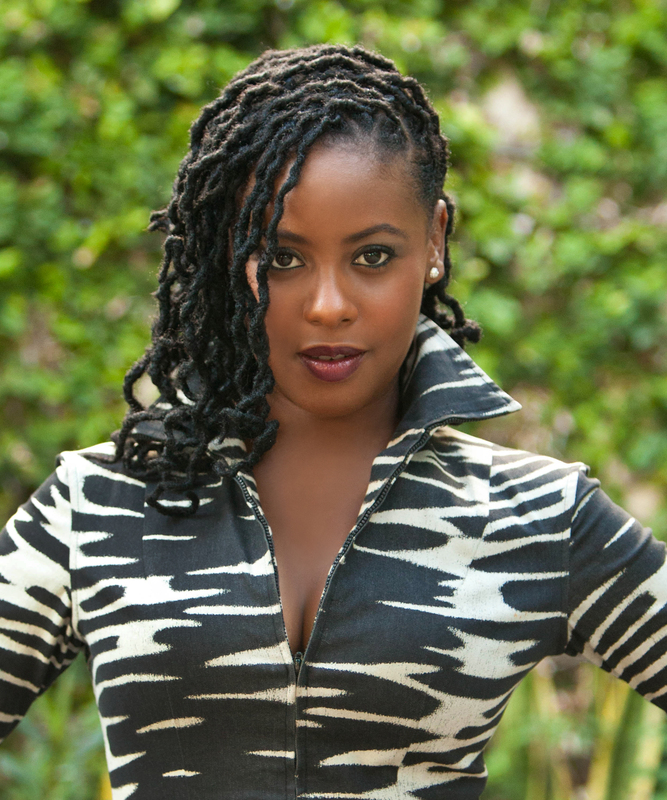 Introducing Emprezz Camielle Golding, artist, TV show host / producer, business woman, humanitarian, wife and best of all mother…..and does she have a story to tell! All rise for the Emprezz! It’s been a minute since we last spoke and since my last interview with you …..some 8 years ago now I think? Long time, but I hear you are doing big things over there in Jamaica ;o) Congratulations on your marriage and the birth of your first son this year…. how are you feeling with all these wonderful blessings? Thanks so much Lady. So honoured to be having this interview with you…Well I moved back to Jamaica some 7 or so years ago and things have been great. I went straight to the world of television, radio, business and entertainment and it has been a blessed journey. Met my husband and yes we recently gave birth to an amazing and healthy baby boy. Now to those that know you, you will need no introduction but to those that don’t, my introduction would only cover half of what you have done in your career thus far….. so I will need to you to fill us all in on the last few years since leaving Sydney. You were Camille the artist, performer, model and creative when I first interviewed you, wowing the crowds with your voice and beauty. I believe you have added humanitarian, fashion boutique owner, TV host to that resume? Oh yes lol. Where do we start: I have hosted a few television shows since we last spoke? Shows on RETV (Cable station in Jamaica, BET J (USA), The Magnum Kings and Queens of Dancehall on Major Network in Jamaica and now I executively produce and host a show called ‘Talk Up Yout’ on TVJ here in Jamaica. Known previously by my middle name Camielle, Empress Camielle and Empress! I now go by my first name Emprezz. My full name is Emprezz Eartha Camielle Mullings…Now Golding. I owned a (First of its Kind) password entry fashion boutique for 6 years with my business partner Nadia Stanley, which housed over 30 local Jamaican designers. I hosted a radio show called ‘The Corner’ with my now husband and am involved with numerous benevolent projects in assisting the youth and less fortunate of Jamaica. Is it correct to say you were born in Jamaica and your parents brought you and your brother to Australia for a few years to grow and cultivate when the homeland pull proved too strong for you and now you are settled in Jamaica, married to the Prime Minister’s son and taking place as a voice and mentor for the youth in Jamaica with your organisation ‘Talk Up Yout” – can you explain what your motivation was behind this organisation and why going back to your homeland was so important for you? My connection to Australia goes way back. I was actually born in Australia when my parents moved there some time ago when dad was doing his PHD. They returned back to Jamaica when I was 2 years old. After living and growing up in Jamaica for a while we returned to Australia when I was about 13. Never losing sight of my Jamaican heritage and upbringing, I am back on home soil. Where my heart and soul always felt closest to. My personality and love for my people is my motivation behind ‘Talk up Yout’. As a role model to our youth it is my duty to inspire, empower and assist where I can so that they will become great leaders of the future. I married to the former Prime Minister of Jamaica’s son to be exact. He retired shortly after the wedding. Are you still recording and making music? Have you released anything to date since leaving Australia? Describe the Jamaican music scene right now in terms of what / who is hot? I performed locally on stage shows and smaller venues. 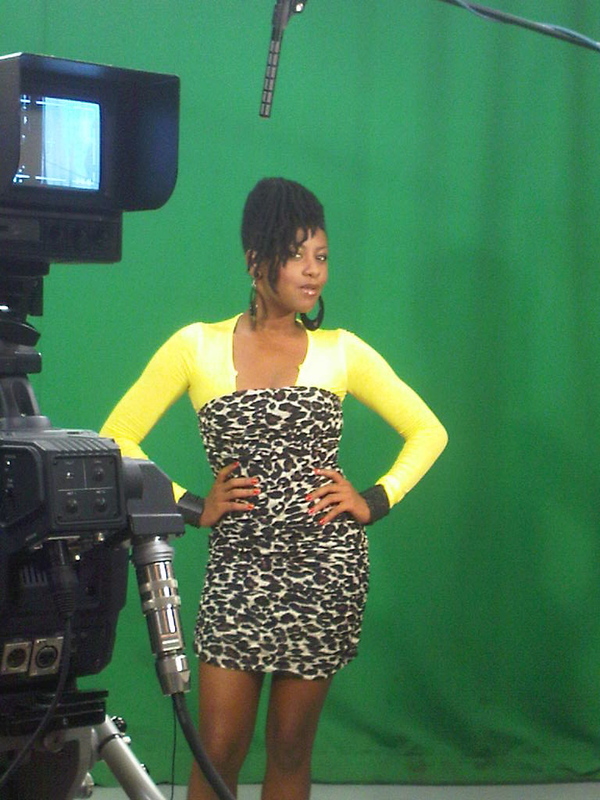 I also have a show called “Empress’ Studio”, where I interview and capture the stories of the veterans of reggae music. However recently I have focused on my other pursuits. I designed and released the Jamaican Trivia Playing Cards (www.jamaicanplayingcards.com) and so much more business projects up my sleeve. Music is alive in Jamaica and it is the way of life. You hear it and feel it on every corner. There have been some controversies with our ‘Dancehall’ music, its lyrics and the reality that nearly every young man wants to be an ‘Artiste” as it seems like the “glorious’ career choice. This can cause some complications, when we need them to focus more on their education! These however are “Jamaican in-house issues “ which I am a part of trying to resolve the confusions, misunderstanding and the positioning of our reggae/dancehall music which we must monitor our ownership and control and help guide our young people in striking the balance. What’s hot over here right now? Globally Reggae and Dancehall has been very influential and everybody wants a piece of it. It is the preferred music of choice in Jamaica. Mento however is picking up in Europe and our reggae Dancehall artiste seem to be getting a lot of love from some countries in Africa like Kenya & South Africa. How are you adjusting to being a new mum to your baby boy (who is just gorgeous for words)? How has motherhood changed your perspective on the world? Motherhood has made me meaner. It’s all about my son now…although I am still the Benevolent Humanitarian…my son comes first and I make no apologies. Motherhood has taught me the Jamaican adage: ‘You have to dance at home before you can dance abroad ‘ it is so true!. You and your husband are both focussed on the enhancement of your Jamaican community and are both active in the encouragement of youth and community services? What are your visions for what you want to have happen with the youth in your area and what are you currently working on to secure further development in that area? We follow the philosophies of Marcus Garvey as the core for youth development. Self-Reliance, Self-Respect, Confidence and Literacy/ Reading to name a few of the principles we promote. Our vision is a Jamaica focused on awareness of our history from the Kings and Queens of Africa, building our own industries and assisting in the uplifting of our social and economic state, mentally and physically. My husband is the President of the UNIA (founded by Marcus Garvey) and during his tenure, has built a half way home for boys leaving state institutions, (http://www.jamaicaobserver.com/NEWS/UNIA–Food-for-the-Poor-open-half-way-house-for-young-men_11113067), A prison programme every Friday in our Jails, Free Literacy classes and much more. I have raised funds for basic schools and other charities and speak at high schools and state homes for girls on self- improvement, and building a better Jamaica. Do you miss Australia and the music scene out here? What are your best memories of your time in Sydney and on your hustle as a recording artist? Australia is a beautiful country and I spent my time there well. What I always remember are the young black girls saying to me “you set the path for us”. For that I am grateful. In Australia I inhaled the world of Pop, RNB, Reggae and House music.What I love most about Australia is that it is a cultural melting pot. You have currently opened a restaurant called Café Africa – where in Jamaica is this restaurant based and what do you serve? Your wedding made headline news all over Jamaica and online websites etc. posting pics of your grand day. You looked beautiful and very proud ;o) Were your friends and family from Australia present for your wedding and how was the party after the formalities? What would you say your motto in life is Emprezz – a mission statement that keeps you focussed and grounded? Always remember who you are, and that your attitude determines your altitude. Nothing in life is really free and we must always pay our dues. Don’t watch others and what they do , just be the best you can be… However don’t be afraid to learn from others! ← King F.A.M.E – Rising To The Top!